Amazing gun. 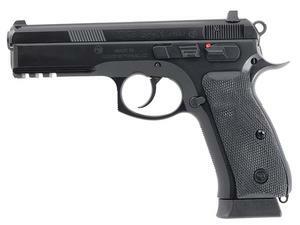 The great balance, ergonomics and no recoil of this pistol will have you shooting bulls eyes all day long. Quality you can only find in a $1200 gun (I like it way more than my Sig).The only problem is that CZ cant build them fast enough, so if you see it buy it blindly.